Prenatal obesity (due to being obese prior to conception OR gaining excessive weight during pregnancy) poses significant health risks to both the mother and baby during pregnancy and beyond. 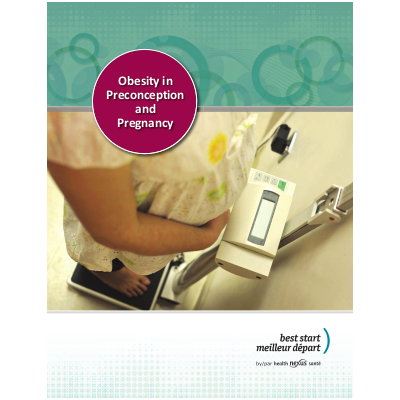 This report for service providers provides current information about the prevalence of, risk factors for, and implications of obesity in the preconception and perinatal periods in Ontario. Additional information is presented concerning approaches that have been effective in addressing obesity in the preconception and prenatal periods. Evidence-based practices are limited at this time and additional research is needed.